Many know Robert Zuppke (1879-1957) as Illinois’ longest-serving football coach, whose teams won or tied for four national championships and seven conference championships between 1913 and 1941.
artifacts from the Zuppke era at Illinois. 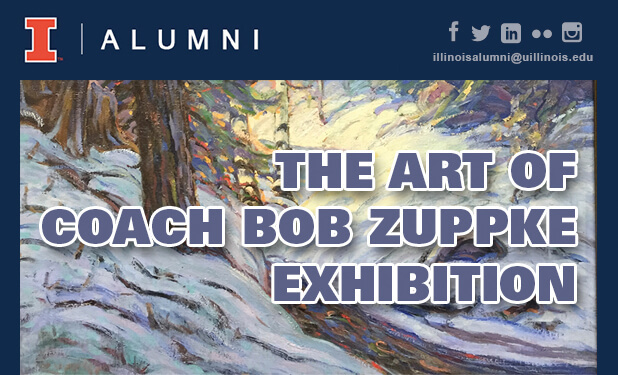 Read more about Coach Zuppke’s passion for art. Dec. 23, 2016. To view exhibition hours, click here.